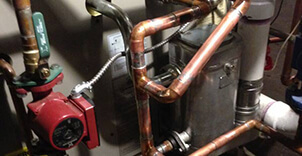 One of our trained and professional technicians can come to your home or business to inspect your HVAC equipment. After that, they will give you a detailed explanation about what needs to be fixed or replaced, plus a total and complete cost and time estimate. That way, there are no surprises for you! We also offer preventive maintenance to ensure your HVAC equipment is running properly for the season. Again, no surprises for you. 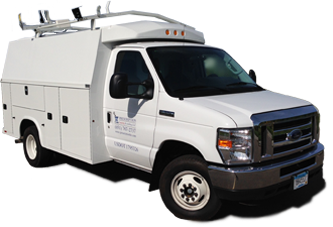 We will inspect the equipment to make sure it is working as it should and if it is not, we will let you know and give you an estimate. When your equipment is maintained as it should be, it can help keep your utility costs down and extend the life of the equipment. And we don’t just service and repair HVAC equipment. We also sell and install several leading brands, including Luxaire, Aprilaire, Weil-McLain, Honeywell, Ultravation UV Lights, filters, heat recovery ventilators and more. 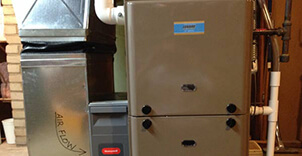 Prescription Heating & Cooling is a small HVAC company that proudly serves Cottage Grove and the surrounding areas. We do not believe in bureaucratic red tape. We believe in high quality service, repairs, products and customer service. We take a personal approach with everyone we deal with and do work for. Our technicians are friendly and knowledgeable and will take the time to answer any questions you have and address any concerns you have. For more information on our HVAC company serving Cottage Grove, call Prescription Heating & Cooling at 651-767-2737 or get a Free Estimate on new installations.